Maybe “re-defining” is too strong a term- its raises expectations. One expects a strong, deliberate deviation from the norm. A statement. A space like no other. 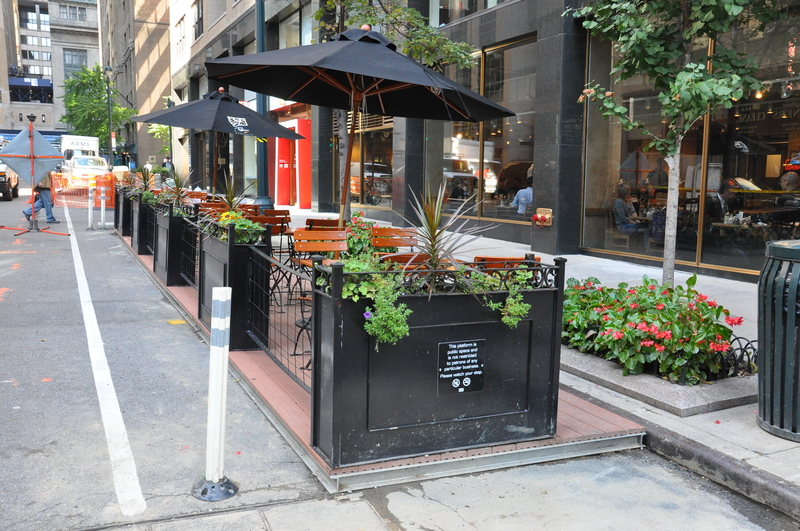 No- the example below is not a re-definition of public space. 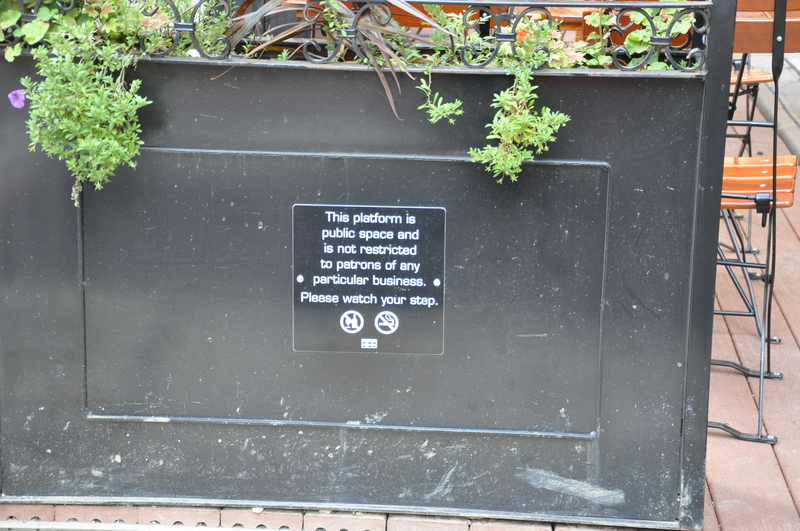 It is perhaps a different expression of it…yes that is the term. EXPRESSION. 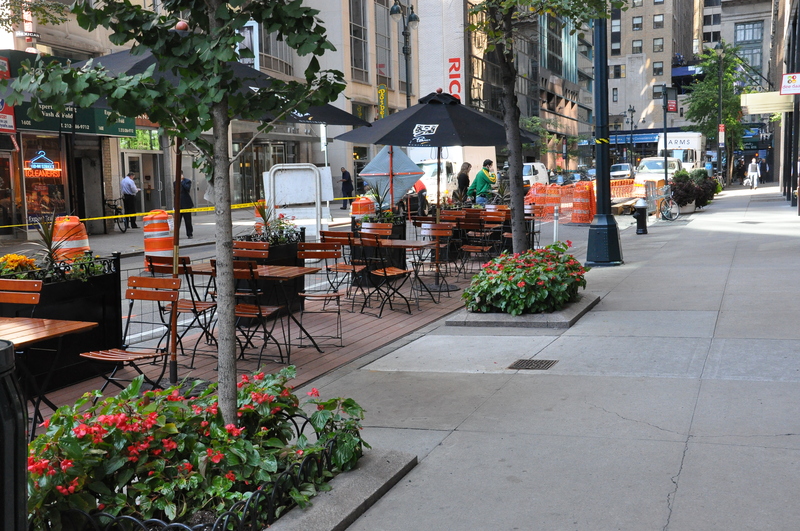 A construction zone on a street…expressing itself (courtesy of Le Pain Quotidien) as a public zone. 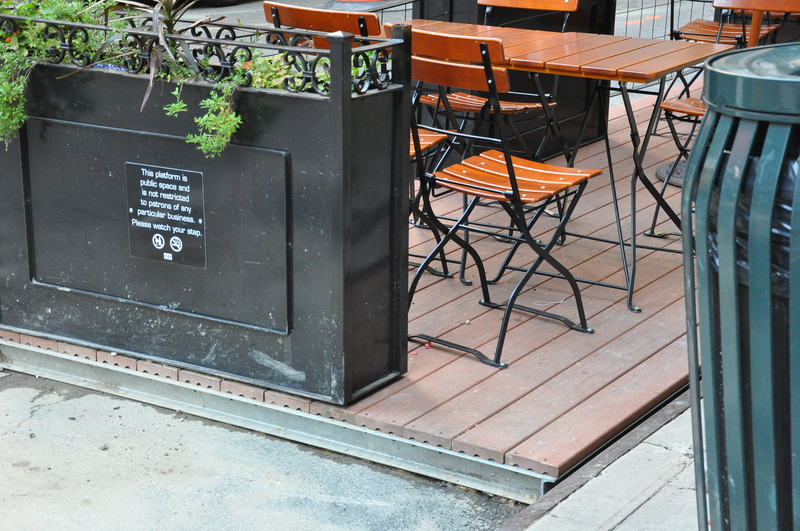 Interesting detail of floor structure- Place it anywhere and Voila!..instant decking for public space!